Planned over the long weekend traditional American Thanksgiving weekend, we are headed into Malaysia again for a 4D/3N Major Destination Ride. We will meet at the Petron station, Gelang Patah from 8:00am for a 8:30am sharp push off on Thursday, 22 November 2018. We will head north using the NSE to before heading across the peninsula to the newly reopened and renovated Hyatt Regency Resort at Kuantan. Departing GP on Thursday morning the route planned takes north on the NSE to Yong Peng, where we’ll leave the expressway behind taking Hwy 1 north towards Segamat. 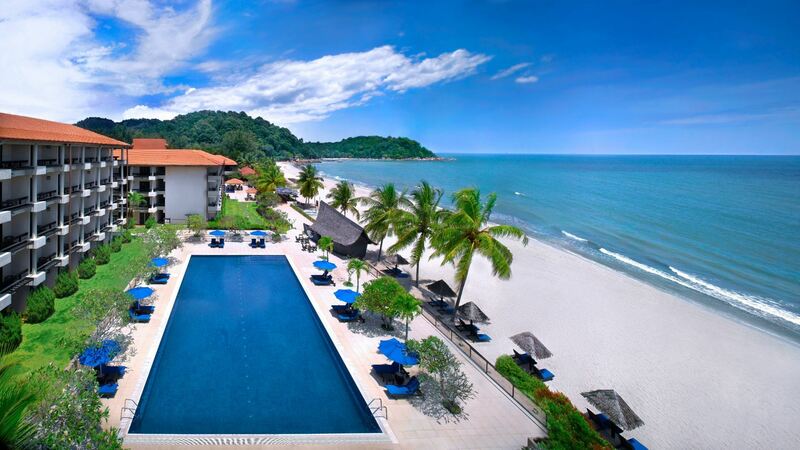 At Taman Yayasan, we’ll take Hwy 12 to Gambang then onto Hwy 2 leading into Kuantan for three restful nights at the beautiful Hyatt Regency Kuantan. Depending on interest, we could have a couple of day rides out of Kuantan, one being the Kuala Gandah Elephant Orphanage Sanctuary and the other to Gua Charas Caves in Sungei Lembing. Some may wish to stay put and rack up some serious effort into doing not much at the beach or hotel pool before a group dinner on Saturday evening. Return will be on Sunday, 25 November leaving Kuantan by 11:00am where we’ll travel south via the coastal highway and plan a lunch stop (own account) in Mersing at the Port Cafe. The cost for a couple or twin sharing is S$630 for the three nights including breakfast and taxes. Single rooms are available at S$590. Please note this is for two adults sharing a room so if you would like to share, you need to make your own arrangements or book a single room. This is a closed event which means only members may make a booking. Members may invite one guest. Guests who are riding must only be on a Harley-Davidson bike. Bookings close on the evening of 24October. Joining a Major Destination Ride is the best way of getting to know other HOG members. It is often where true friendships are formed. NO REFUNDS for cancellations once registered. This is a members only event, but members can bring one guest.